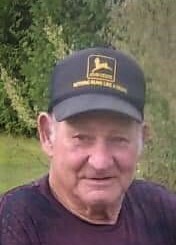 Obituary for Butch Borland | Edder Funeral Home, Inc.
Butch (Richard) Borland, 81 of Girard died Friday January 25, 2019 at his home, surrounded by his family. He was born in Erie, a son of the late Joseph "Babe" and Edna (Simpson) Borland. Butch attended Girard's Rice Avenue Union High School and following high school, worked at Marx Toys, C.G. Woods in Girard, Nickel Plate Railroad in Conneaut and Girard Township. He went to work at PHB in 1967 and was employed there 34 years until his retirement as a machine maintenance man. He was a member of the Triangle "S" Snowmobile Club, enjoyed riding sleds and working on his '41 Chevy Coupe. In addition to his parents, he was preceded in death by Wife, Betty A. Borland and Brothers, James Borland and William Borland. Butch will be greatly missed by his family, which includes his Daughters, Joyce M. Goodman, Shirley A. Wagner (Butch), Linda J. Niles, Darlene E. Robertson (Jason), Beth M. Hanna (Todd); a sister, Jeanette Rhoades; Brother, Harry Borland; Grandchildren, Theodore Goodman, Jr., Holly Goodman (Kylee), Krysta Barnett, Joey Barnett, Robert Wagner, (Nikki), Charlene Niles, William Griffiths, Kimberly Griffiths, Dylan Hanna, Carleigh Hanna, Jacob Rich; a great grandson, Dalton Wagner also many nieces and nephews. Friends may call on Monday from 2 to 4 pm and 6 to 8 pm at Edder Funeral Home, Inc., 309 Main St., Girard. Services will be held there on Tuesday at 10 a.m.